HOW we love winners. In the Olympics, there are lots of winners. As we watch our compatriots standing on the podium receiving their medals, basking in the glory of their achievements, we too bask in the glory, albeit vicariously and share their elation. Such is our wishful ambition for the ultimate prize, the gold medal, that some of us cannot contain our disappointment when our Olympians do not deliver that definitive accolade. In that emotional stage, we take to venting our frustration in the media, whether print or online. We utter words that are hurtful to our champions who fell just short of the top spot. 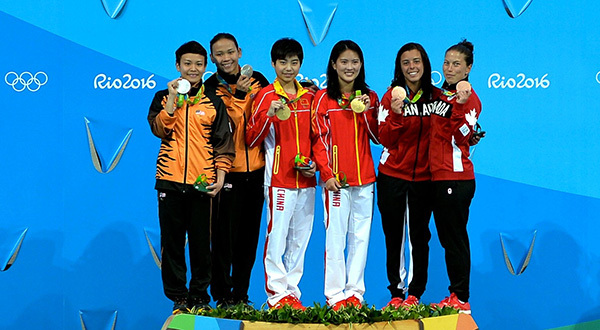 Two mainstream newspapers shamed themselves with unthinking headlines: “Peng Soon-Liu Ying hampakan jutaan rakyat Malaysia” (Peng Soon-Liu Ying disappoint millions of Malaysians) while another chipped in with “Beregu campuran sekadar raih perak” (Mixed doubles only win silver). “Only silver”? Wow! I think that’s as dumb as it gets. in the world? Perhaps these careless detractors can be forgiven for their outbursts because like all of us, in the dark recesses of our minds we all harbour the wish, the dream, of standing on the podium of victory. The failure of our heroes to best the best affects our cool and we say stupid things. I suggest let us not just focus on the medals (though this would not have stopped me from joining the screaming last night for Lee Chong Wei). Talking about screaming, I was watching the semi-final match in a packed house at our club bar. Though I could not quite see the score, it was no bother because I knew exactly who won or lost the points from the groans and cheers. It was nerve-wracking and ultimately exhilarating when Chong Wei finally exorcised his nemesis (and friend). The epic on Friday night epitomises the resilience and indomitable spirit of the two great champions. It was a snapshot of the long, difficult climb to the top. I saw an old photo of Chong Wei and Lin Dan. They were just boys then when they had the dream of greatness. When we look at our heroes, beaming with their medals, we want to be like them. However, let us not focus just on the end – the moment of the fruition of a dream. Rather we must be prepared to walk the path they have trodden, the sometimes lonely, the sometimes painful but ultimately the joyful path of a true champion. It is said, “a journey of 1,000 miles starts with the first step”. Sure it is true, it is a truism. Let us be also mindful that a journey of 1,000 miles consists of tens and hundreds of thousands of little steps. The little steps are the things we must do on our way to the journey’s end. These are the little steps all champions have to take. I read an interview with Goh Liu Ying, the one-half of our mixed doubles silver medallists, where she talked about her training regime. She was introduced to the game when she was 10 years old. Ever since then, she grew to love the game and got very good at it and was selected for the Bukit Jalil Sports School when she was 13. “I wanted to qualify for the games, so I trained hard every day and always made sure I performed better in every tournament match. Every morning, after breakfast, I would join the training session being conducted. It goes on until lunchtime and then I’ll stop training to have my lunch, and squeeze in a nap before I go for the afternoon training session. I train twice a day from Mondays to Saturdays. On Sundays, I have three hours of training in the morning and two hours of training in the afternoon,” she said. Notice that many of the medallists shed tears as they stood on the podium receiving their medals. Of course, those were tears of joy, but perhaps too they remembered the long and painful journey to the winner’s platform. Perhaps the faces of all those who have helped along the way flashed across their minds. We may not be in the Olympics Games, but we all are in the Olympics of life. We could do well if we take the lessons of our sportsmen and sportswomen to heart.